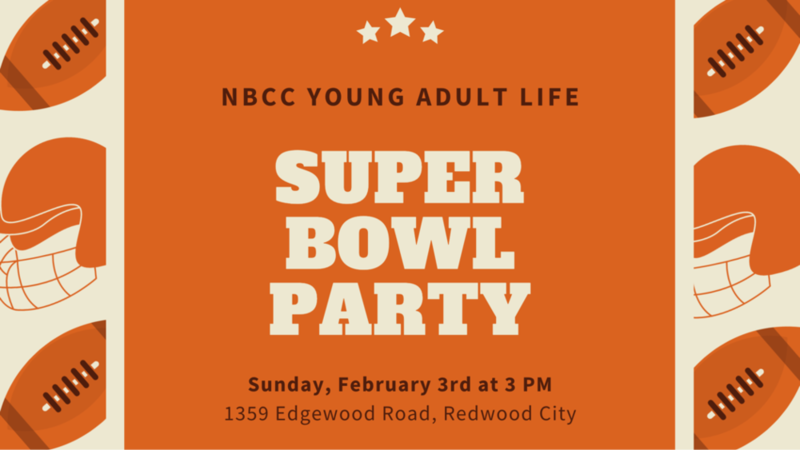 Join us on Super Bowl Sunday for food, fellowship, and football! We're having a potluck, so please bring a dish to share. Sign up by Sat, Feb 2! For more info, contact Elizabeth Davis at 562-500-0053 or elizabethsdavis95@gmail.com. Here at New Beginnings we have a growing community of young adults (loosely defined as folks in their 20s and early 30s). We call this community, “Young Adult Life.” We are a diverse group of people: Professionally we are across the board. Some of us grew up here in the Bay Area, but many of us are transplants from somewhere else.